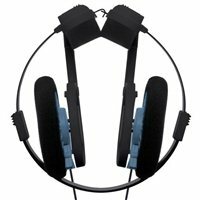 The Koss Porta Pro KTC On-Ear Headphones deliver the sonic performance of the original Porta Pro headphones, providing pristine detail and clarity for discerning music listeners. 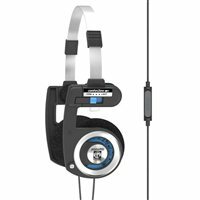 In addition the Porta Pro KTC headphones feature an in-line remote control and microphone compatible with Apple iPad, iPhone and iPods. 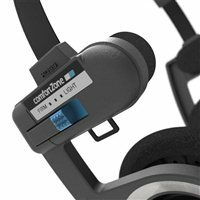 The mylar elements are rigid and minimize distortion, aiding in accurate sound reproduction. The collapsible headband folds small for easy storage and travel. The comfort zone setting on the temporal pad provides a comfortable, secure fit.